I’d like some kiwi in my backyard too…. Kiwi releases attract plenty of media attention, often triggering individuals and groups to consider establishing kiwi in their patch. Now, new guidelines have been created to help people understand the process and requirements. Kiwi releases are good news stories and generate positive and widespread coverage. This media attention often results in a flurry of public enquiries about how individuals or groups can establish kiwi in their local reserve or the bush block at the back of the farm. 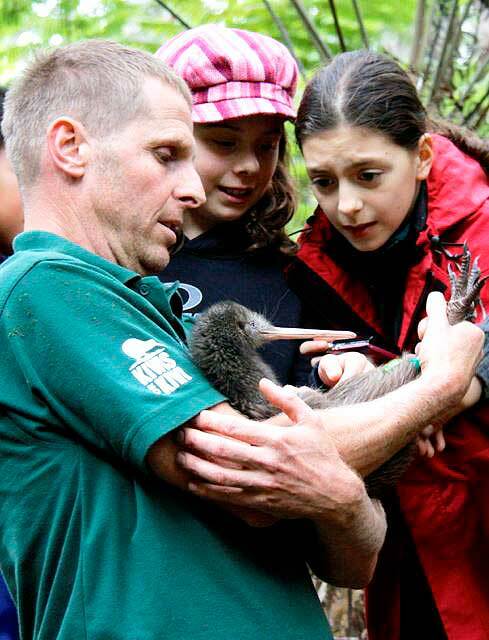 DOC Biodiversity Services Ranger, Pete Graham showing some of the children the kiwi pre release into a burrow. The Northland Kiwi Forum Working Group and Kiwis for kiwi identified that, although there are many groups and individuals that aspire to have kiwi in their patch, there was no single resource that outlined the process and considerations for them. Many individuals described obtaining this information as daunting and confusing. A guide to establishing new kiwi populations (PDF, 2091K) was developed to fill this gap and provide a first check of the journey they might be embarking upon. – Considerations for ongoing management once established. The Northland Kiwi Forum Working Group in conjunction with Kiwis for kiwi drew upon the experiences and frustrations of applicants and approvers of past translocations in developing the guidelines. Although drafted with an emphasis on establishing and protecting populations of Northland brown kiwi, the document should also be useful for other kiwi taxa or even other species. Toby Shanley, Kevin and Gill Adshead of Mataia. Kiwis for kiwi, iwi representatives, Department of Conservation and Auckland Zoo kiwi specialists about to ‘hand the kiwi over’ to the people of Mataia. 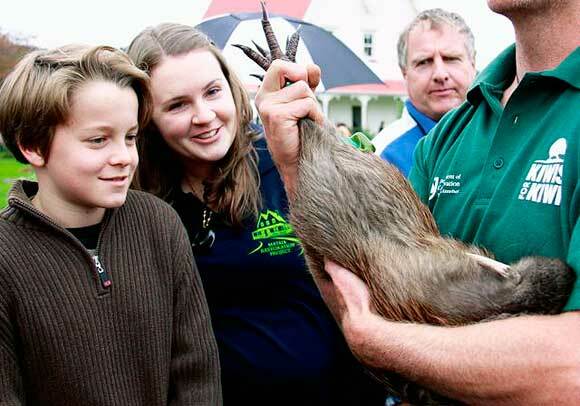 Jo Ritchie releasing a kiwi into a temporary wooden burrow. Wendy Sporle of Kiwis for kiwi introducing Gill and Kevin Adhead of Mataia to one of their new kiwi, surrounded by the public. The Northland Kiwi Forum is a collaboration of agencies, individuals, iwi, community groups, farmers, foresters, and central and local government staff who are actively involved in managing the Northland taxon of Northland brown kiwi on public and private land. 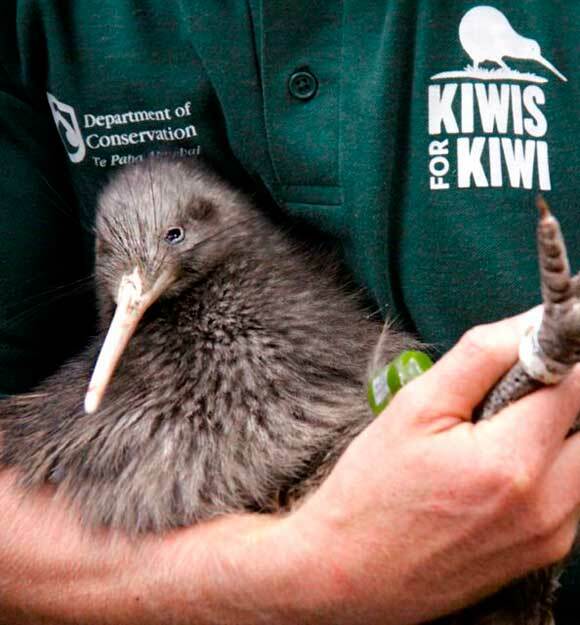 Kiwis for kiwi is a non profit organisation that supports the work of more than 80 community groups around the country, providing funding for vital kiwi conservation, breeding and hatching programmes.